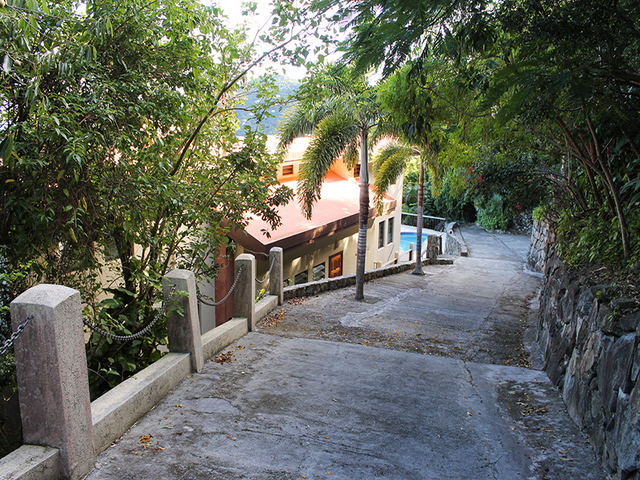 Eco-Friendly, Hillside Retreat with pool and large pool deck! 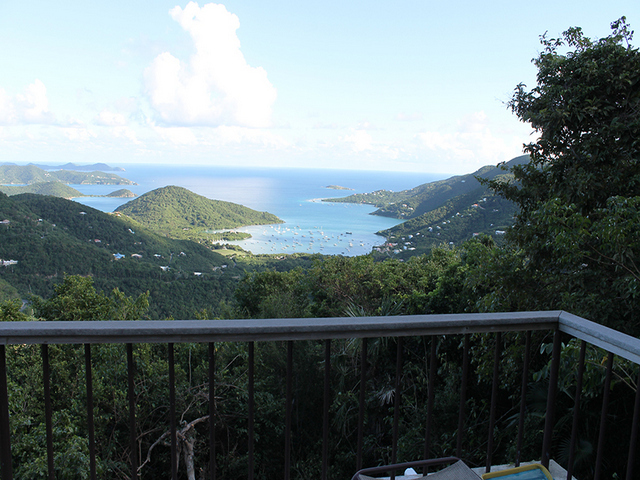 Astounding easterly views of the Virgin Islands. 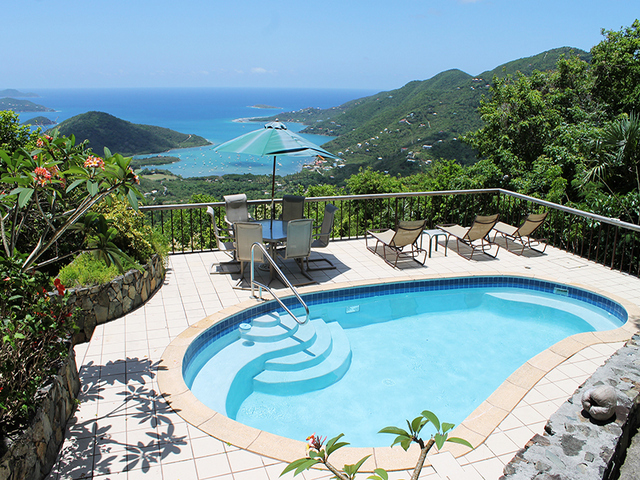 Enjoy the privacy and incredible views of Coral Bay, British Virgin Islands and the Caribbean Sea! 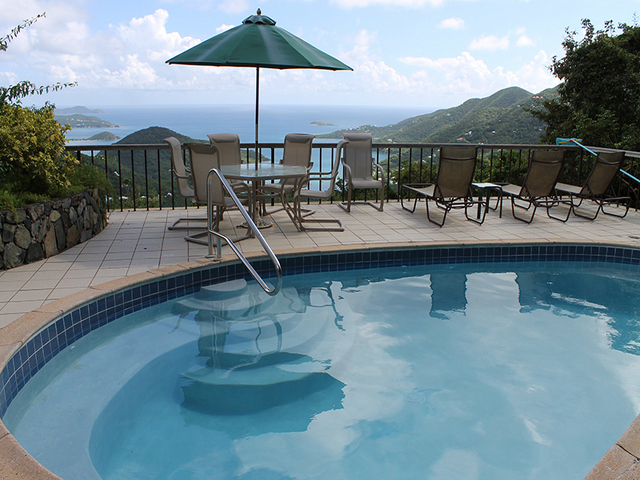 Located high above Coral Bay overlooking the East End of beautiful St. John, Satinwood is a one-of-a-kind vacation rental villa offering an extraordinary level of comfort and modern amenities while remaining completely in tune with nature and the beauty of St. John. The ultra private hilltop location provides spectacular sunrises and breathtaking panoramas of Coral Bay, Hurricane Hole, the British Virgin Islands and the Caribbean Sea beyond! Satinwood is a unique and environmentally friendly house because of its 'off the power grid' construction. Satinwood's unique design relies on solar powered energy to provide year-round comfort and energy independence. This system features a large capacity battery bank and a back-up diesel generator to insure reliable and earth-friendly energy at all times day or night! 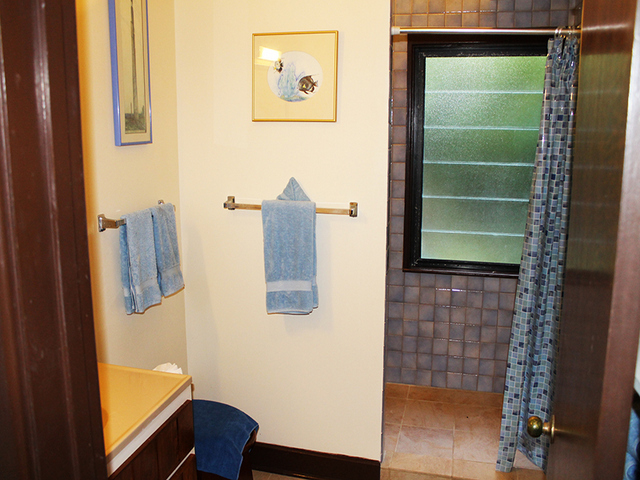 Water conservation is optimized with the use of Clivus Multrum composting toilets in the master bedroom suites and a low flush toilet in the lower apartment. With all of its conservation oriented design, Satinwood provides discriminating guests with all of the conveniences and comforts expected in a deluxe private vacation accommodation on St. John. Guests arriving at Satinwood will be greeted by the inviting sculpted swimming pool and fabulous surrounding deck complete with lounge chairs for sunning, six person table with umbrella for alfresco dining - all arranged against the background of the awe-inspiring views to the eastern Caribbean. 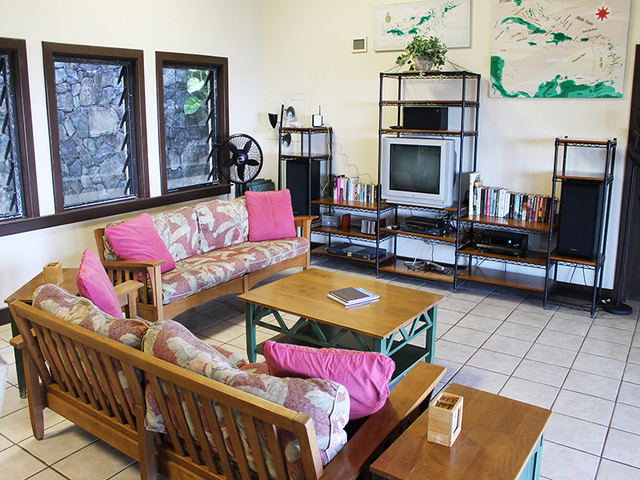 The main house features a great room complete with comfortable furniture and an 'entertainment wall' consisting of a flat screen HD TV with cable TV connection, DVD player, CD player, stereo audio system, books, puzzles and games. 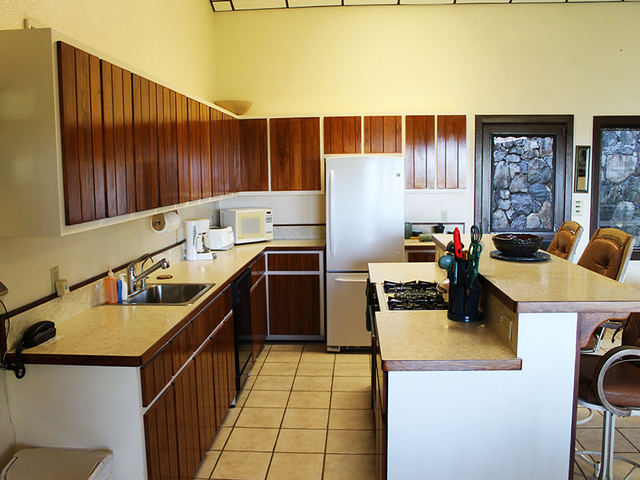 The fully equipped kitchen is complete with energy efficient appliances and all the necessary items to prepare snacks to full meals. 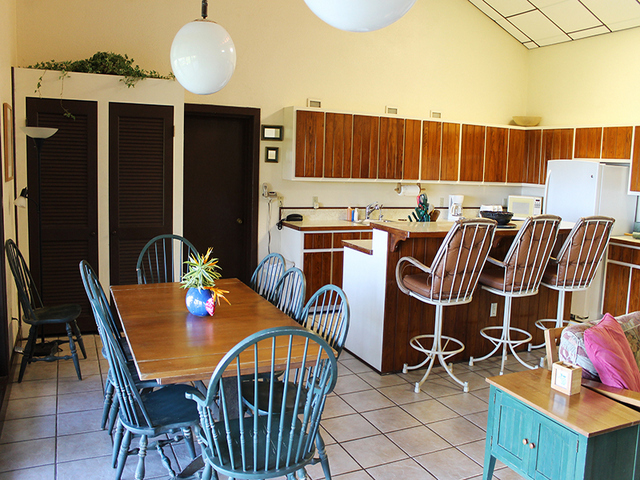 Adjacent to the kitchen is the dining area with table and chairs that will accommodate up to eight. 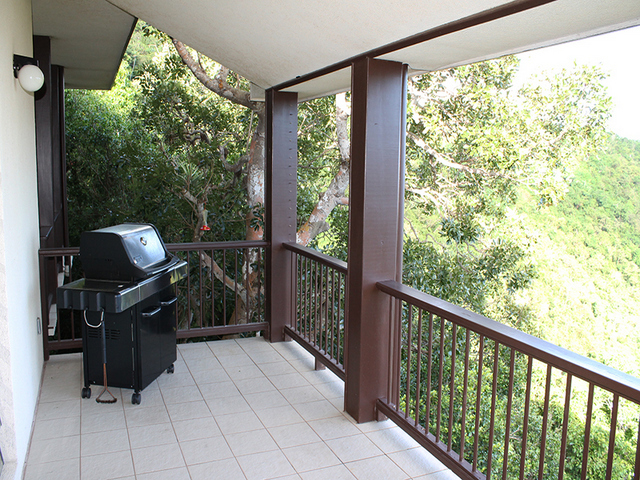 The large glass wall with sliding glass door leads from the main area to a private veranda where a gas BBQ grill and several comfortable chairs are located. 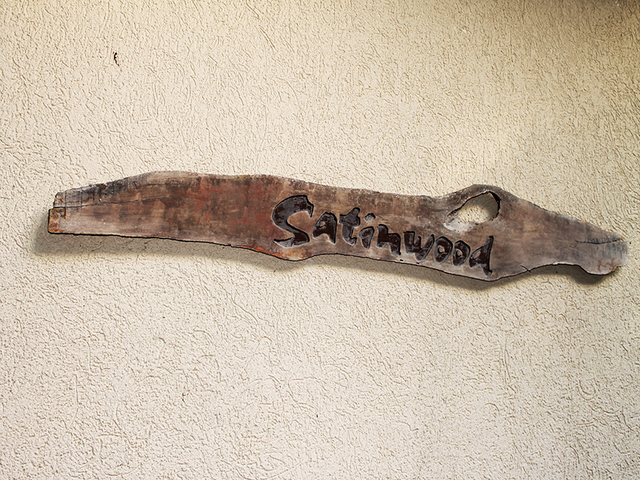 Satinwood offers comfortable sleeping accommodations for up to ten guests. 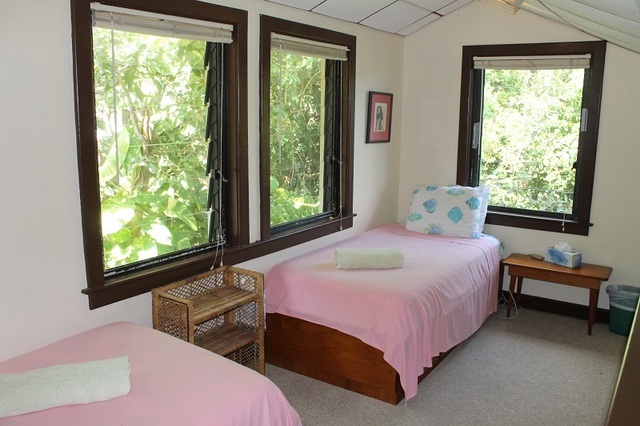 There are two master bedrooms located on the main level each consisting of one king size bed, full en-suite bathroom with shower and a ladder accessible loft with two twin beds. 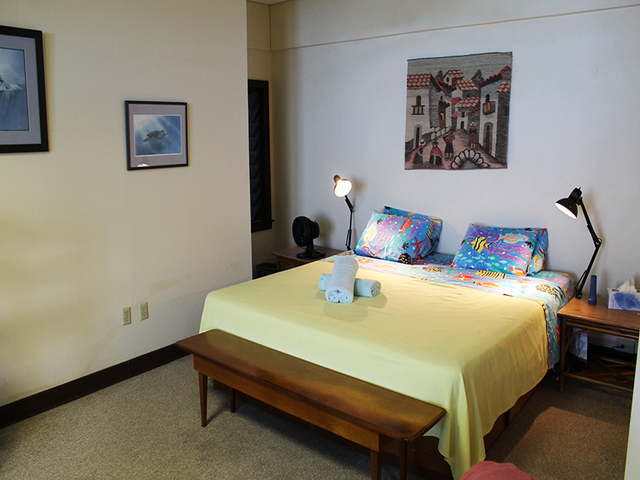 There is a ceiling fan in each bedroom and floor/table fans located in the lofts. 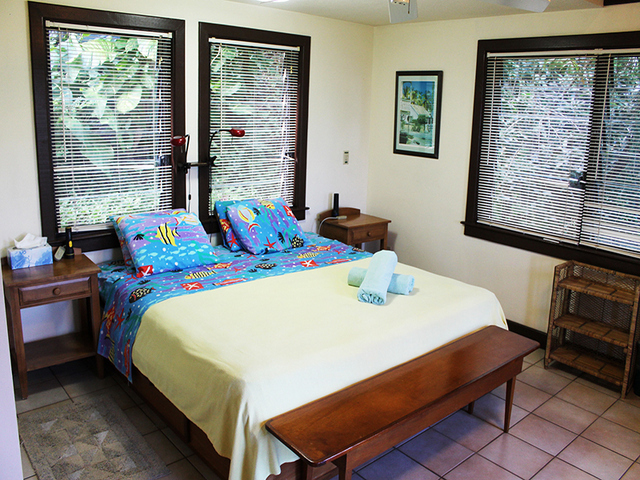 The lower level includes a complete studio apartment with full kitchen, en-suite bath with shower and a king sized bed. 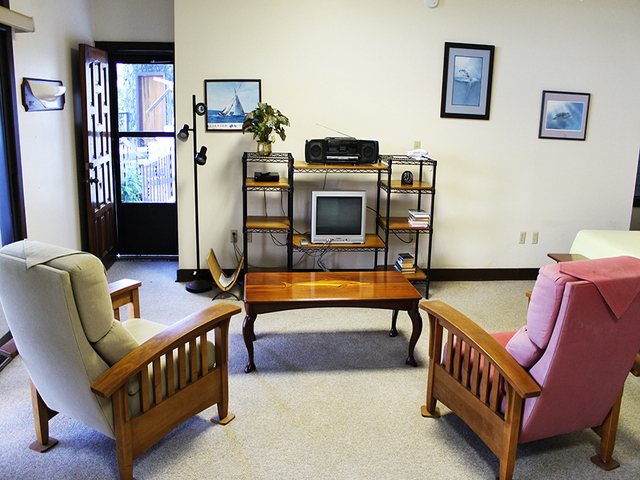 There is a sitting area featuring comfortable chairs, a TV with DVD player, small audio system and ceiling fan. 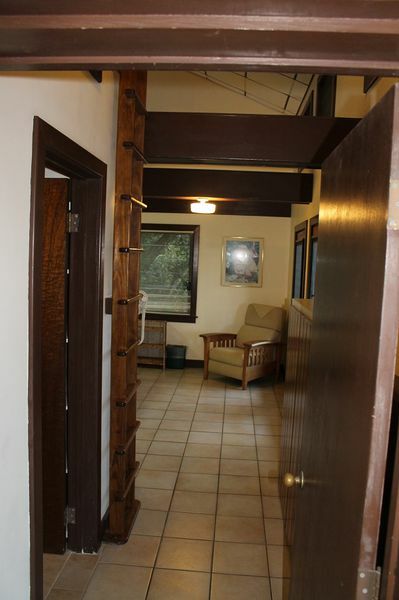 Satinwood is named for the large tree (which may be the last one on the island) growing out of the lower deck. Just as this particular species of tree has become unique to St. John and so will be your vacation experience at Satinwood - A Unique and Special Villa!